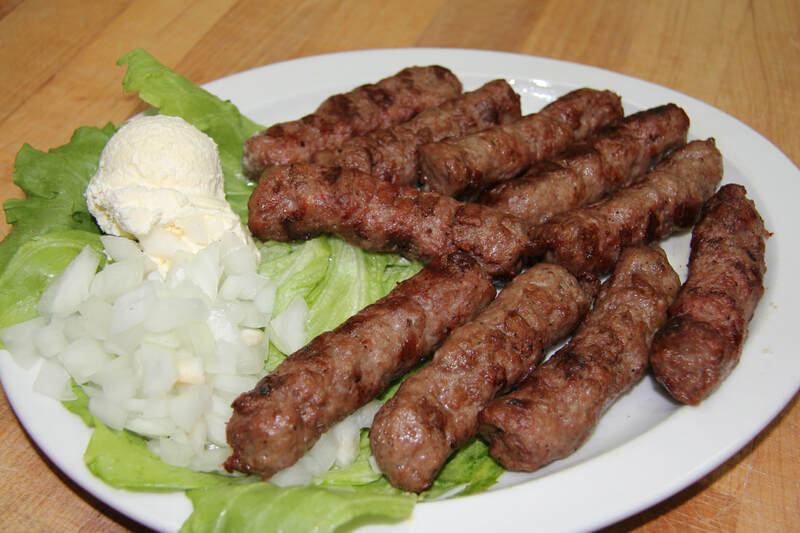 Grilled Cevapi served with kajmak, fresh onions and fresh bakery bread with a salad. 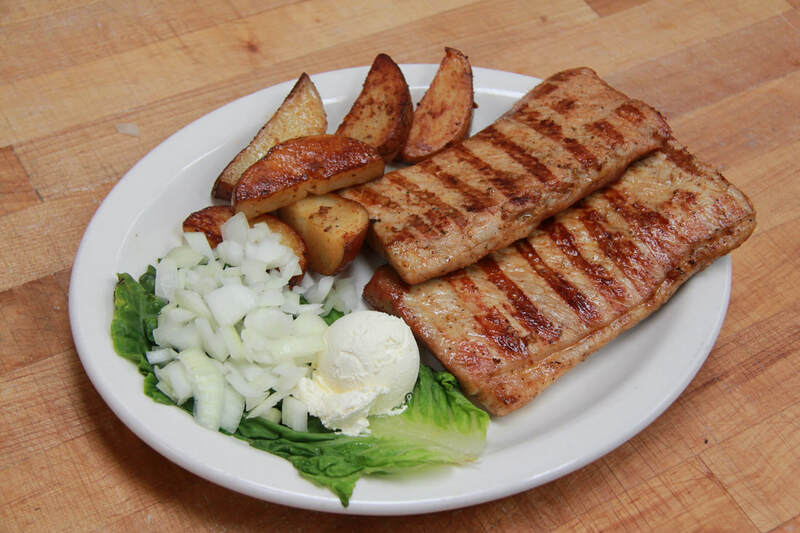 Grilled pork loin served with onions, kajmak, bakery bread and salad. 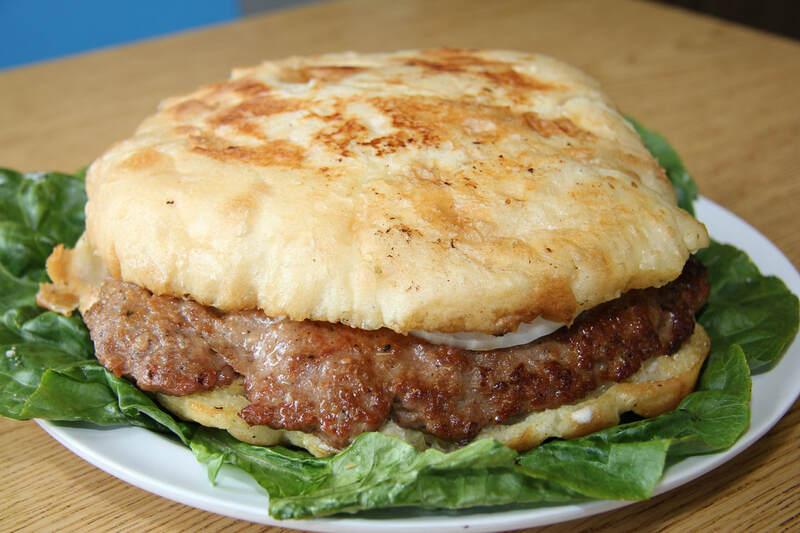 Serbian style hamburger filled with grilled onions and homemade cheese spread served in our bakery fresh bread. 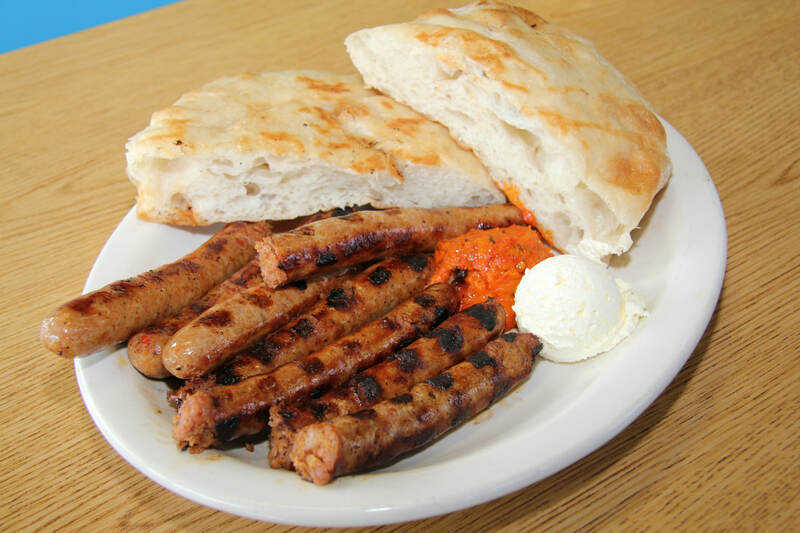 Grilled spicy pork sausage served with ajvar, mustard, fresh bakery bread and salad. 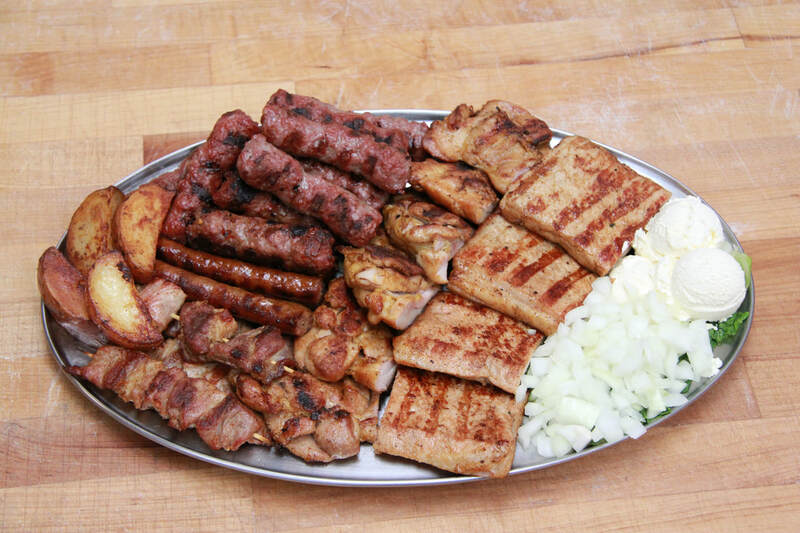 Platter of grilled cevapi, shishkabobs, spicy sausages, pork loin and grilled chicken. Served with onions, kajmak, fresh bread and salad. 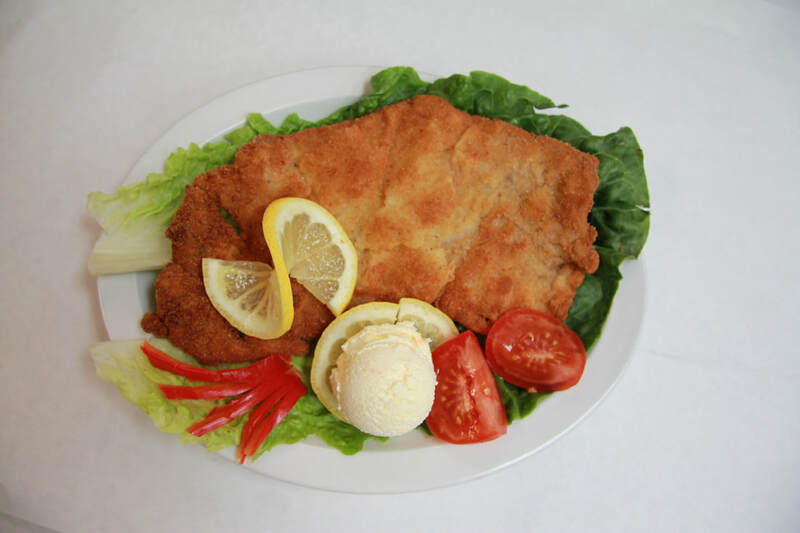 Fried veal served with kajmak and salad. 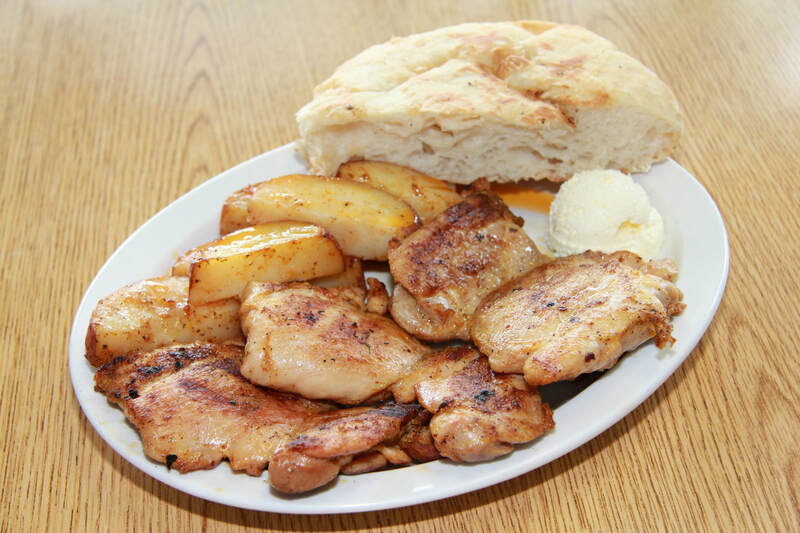 Grilled chicken served with potato, lepinje (fresh bakery bread) and kajmak.